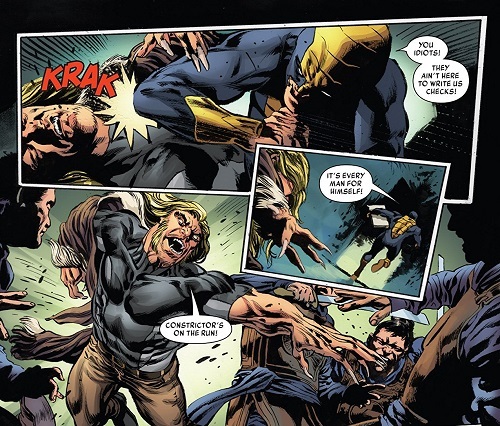 The return of Sabretooth has the Iron Fist #75 creative team humming along like a finely tuned machine. The oh-so-irksome Chosin has returned to rain down hell on K’un-Lun by way of liberation. The most dangerous villains are the ones who believe what they’re doing is of help to the people they’re invading. Chosin is such a villain, and now we get the chance to see him in Danny’s element rather than the island of Liu-Shi. All in all, this book built up a great story and left off at a humdinger of a cliffhanger. Plot: Our book opens with Sabretooth and Iron Fist having tracked down the imposter Constrictor and his cronies at their hideaway. During the battle, the fake Constrictor takes off with the Book of the Iron Fist and is cornered by Chosin and Rat of 12 Plagues, the latter of whom grievously injures the fake Constrictor, who we find out is Frank’s son. After some back and forth with the fake Constrictor, he passes out in Sabretooth’s arms. To the surprise of Iron Fist, Sabretooth believes him and insists on taking him to a hospital, leaving Iron Fist to track down the Book of the Iron Fist on his own. 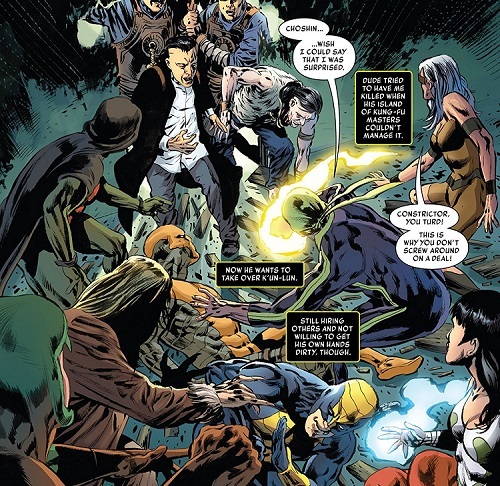 In the meanwhile, Chosin uses the hand of a deceased Iron Fist — totally disgusting — combination with the Book of the Iron Fist to perform a spell that will save K’un-Lun. Iron Fist is collecting asses to beat in the hopes of finding out where Chosin has taken the book when Sabretooth shows up saying he can help because he still has his scent. Sabretooth now has an interest in tracking down the Rat of 12 Plagues so he can help Frank’s son. As they are tracking down Chosin’s hideout, Iron Fist feels his Chi being tapped into, but cannot figure out why. 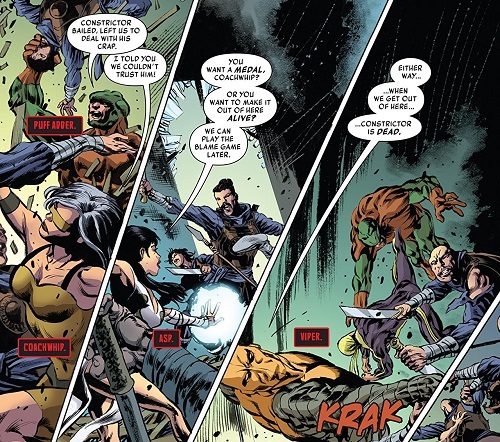 Once they arrive at Chosin’s hideout, they discover why Iron Fist has been feeling his this way; Chosin has opened a portal to K’un-Lun and led his people through the portal. After beating up enough baddies, Iron Fist and Sabretooth jump through the portal and into the land of K’un-Lun. As the book draws to a close, Chosin is shown walking up to the gates of K’un-Lun telling the guards he is there to save them. 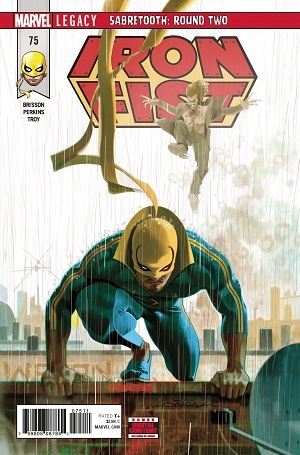 Story: Ed Brisson has done wonders with the Iron Fist in his run. As is the case with this book, Immortal Iron Fist is the backbone of the series. Though Chosin is a villian from the modern era, his schemes, plans, and machinations are all drawn from previous eras. In truth, it is the blend of the two that makes this series so delicious. It will be interesting to see how they blend the two moving forward now that the setting has changed to K’un-Lun. Upping the ante by moving the setting to K’un-Lun has a sort of mass appeal. It definitely makes the story more interesting. Chosin brought his most feared warrior along with him and we’ve already seen what kind of damage he can do. Whether or not Rat of 12 Plagues can hold his own in the capital city remains to be seen, but something tells this reviewer that he will be just fine. 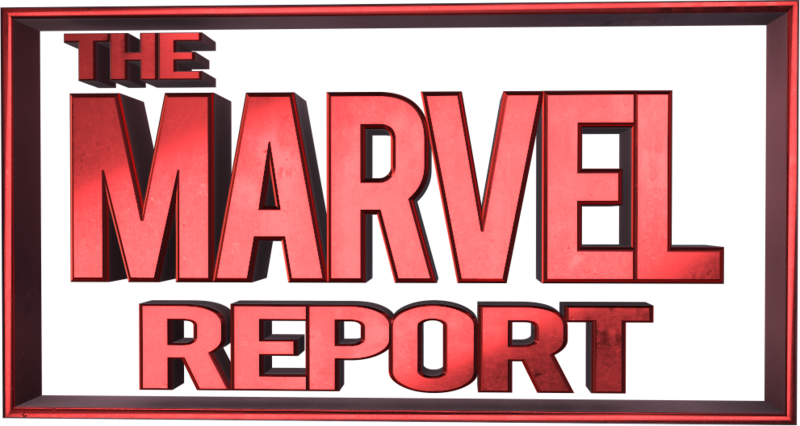 The writing thus far suggests the story will be just fine, as well. Art: Mike Perkins and Andy Troy have done a remarkable job with the series. The darker tones and constant use of the elements fit the brooding tone of Brisson’s writing. The duo have a penchant for drawing teeth, and fang-like mouths befit the angry villains. There is tremendous excitement for how they will draw the heavenly city of K’un-Lun, but I have little doubt that the war for the city will be drawn to perfection. . EVENT – Free Comic Book Day 2016 Delights!